LiveChat Updates - See what's new in LiveChat! Get a New Look for Your Chat! With all the recent changes to Chats, Agents and Settings sections of your LiveChat, it is now time to get a new look for your chat as well. 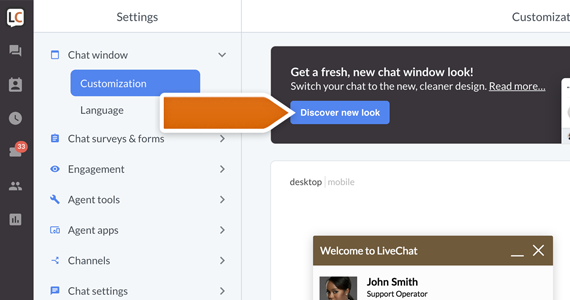 LiveChat introduces a brand new chat window! To learn how to turn it on, click here. But, before you do, take a moment to check out what exciting new possibilities are waiting for you! New Chat Window: what it’s all about? There are several things that come with the update to your chat window, both in terms of the looks and the technical aspect of it. Let’s go through them one by one. The first thing that you’ll notice is that the new chat window is now animated! 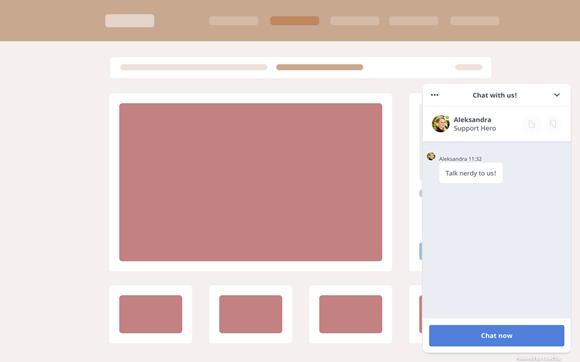 Actions like receiving new messages in a chat, minimizing the chat window or having the window pop-up for your customers are now brushed with a neat animation. This may seem like a small update but it accomplishes a lot. New animations will make the chat window look much more responsive in the eyes of customers visiting your website, making sure that they’ll be more likely to use a chat during their future visits. The Mute button is an entirely new addition to the chat window. Your customers can now use it to disable all sound notifications coming from the chat. Don’t worry though! The mute button will not limit the core functionality of the chat. Your customers will still be able to continue a conversation with you, no matter what. Along with the new look, we provide you with new ways to modify the chat on your website. 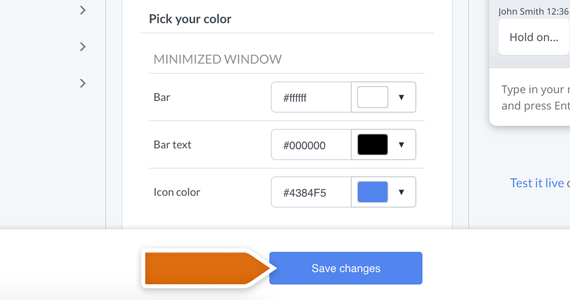 From now on, you can change the color of your chat window, straight from LiveChat app. You will also be able to choose which parts of the chat window you’d like to show or hide: transcript, agent rating, and agent avatar – all of that without dabbling in CSS. We’ve got something for our Marketplace users as well! Soon, you will be able to pick and choose a custom theme for your chat. The Marketplace will offer access to high-quality themes, without having to rely on an in-house developer. So how to turn it on? The process of turning on the new chat window is quite simple! Head over to the Customization section of your LiveChat settings and click on the Discover new look button. You should see a new chat window configurator, together with the preview of your brand new chat widget. To apply changes, click on the Save changes button. And that’s it! The new chat window is now visible for you and customers visiting your website! The current release of the new chat window is just the beginning. If you are curious on what we have planned for you in the future, both as an end-user or as a developer who’d like to max out the possibilities given by our chat window, click here. Konrad, our chat window magician, has prepared a dedicated post on our Developers Blog. This post will once again guide you through all the new features available in the chat window, as well as show you what exciting new possibilities are waiting for you on the horizon! 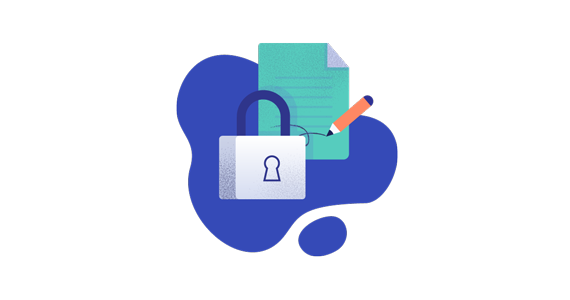 The General Data Protection Regulation (GDPR) is the result of many years work by the European Union to unify and strengthen data protection for all EU citizens. As taking care of your and your customers’ privacy is our number one priority, we are gladly reporting that LiveChat is GDPR compliant! LiveChat is GDPR compliant: what does it mean? GDPR regulates the processing of personal data in the European Union (its collection, storage, transfer or use). Under the GDPR, the concept of “personal data” is broad and covers any person-related information that can be used to identify them. The important thing is that GDPR applies to every organization that processes personal data of the EU citizens, even if it’s located outside of the EU. What it means is that GDPR gives you more control over how your data is used. We are dedicated to help our customers become GDPR compliant as well. Here is a product guide that will show how to adjust LiveChat for GDPR compliance and that will help you better process and control your customers’ data: Prepare your chat for General Data Protection Regulation. Also, in case of any additional questions regarding GDPR, feel free to visit our official GDPR landing page. There you will find a lot of additional information that you may find useful. There’s one more thing: as we know how important this topic is, don’t hesitate to start a chat with us – we will be more than happy to provide you with any additional information that you may require! You can now decide who will get chats first in a group. This is a follow-up update to the recently released Agents section. You have two priority settings to choose from: Primary, for core team agents who always should get chats first, and Secondary, for agents who fill in as backup or are still learning the ropes. 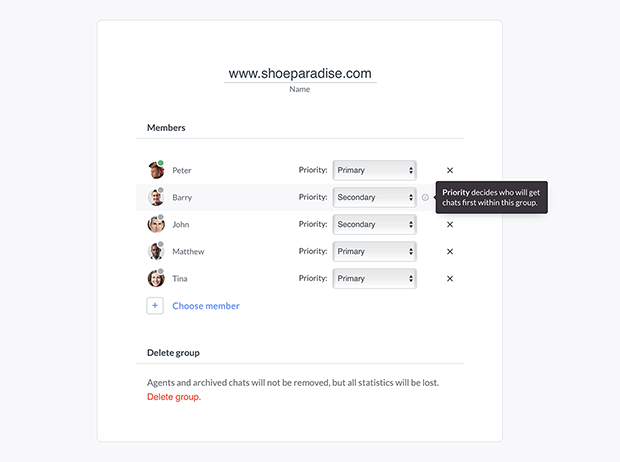 You can change agent priority by editing one of your agent groups in the Groups settings. You need to have the new design enabled in your Profile menu to access priority settings. Let us know what you think about the update! The new and improved Agents section is finally here! 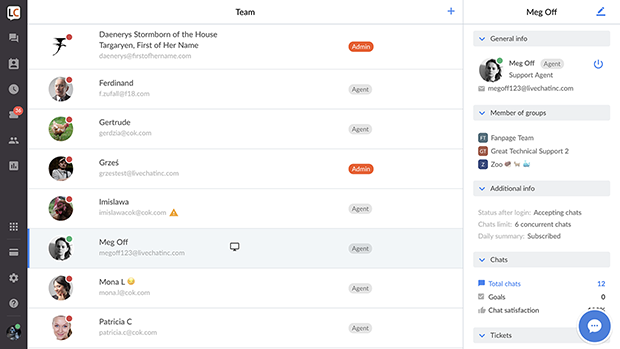 You can now filter agents to find specific team members more quickly. You also get information about agent’s email and groups right on the list. Smaller changes include a cleaner look for the Agent details section. Next week, you’ll also get access to a priority system you can use to decide who will get chats first within a group. You can go between the new and the old look using the switch in your profile menu. Make sure to check the new Agents section out! You can now start using the Chats section in the new and improved look. The new chat list now stores ongoing, queued and supervised chats for easier access. It’s also capable of handling more than six chats at a time. Smaller changes include a clean look and new map for the Customer details section. If you’d like, you can go back to the old look at any time using the switch in your profile menu. Check out our latest post on the Chats section to find out more about these changes. 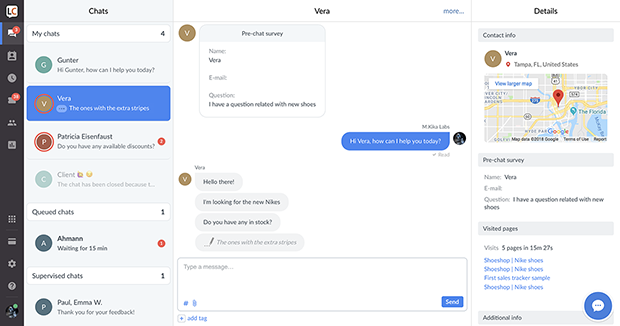 Messenger for LiveChat Is Now Live! Expand the number of channels used to communicate with your customers! Messenger for LiveChat is now live, giving you the opportunity to link your Facebook page with LiveChat. Messenger for LiveChat: so what does it offer? The integration is pretty simple. 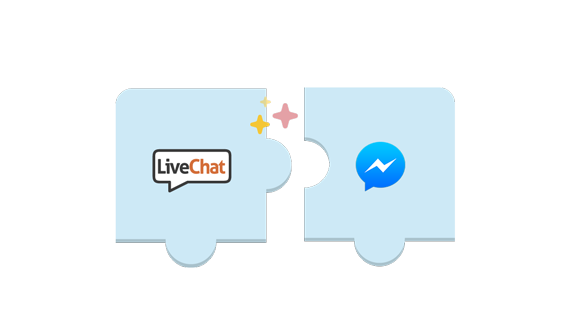 With the use of it, you can link your Facebook Page with LiveChat and reply to your fans without switching your app to Messenger. Whenever your agents accept chats, each new conversation started on Facebook page will be automatically transferred to LiveChat. And all of that for only $10 per month! Messenger for LiveChat: so how to get it going? 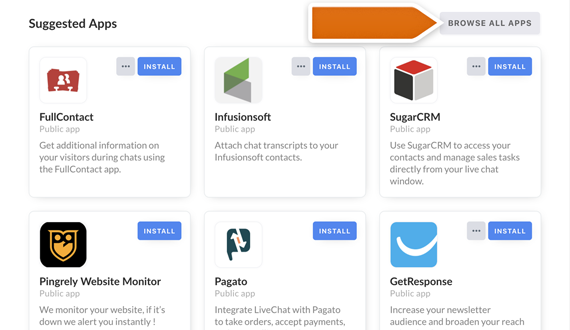 You can enable the integration right in LiveChat’s Marketplace, by visiting the Apps section. And as always, don’t hesitate to leave us a comment below. We would love to hear your thoughts about the Messenger integration. LiveChat for Easy Digital Downloads Is Here! Running your Easy Digital Downloads and looking for a way to create an exceptional customer service? Look no more – LiveChat for Easy Digital Downloads is here! 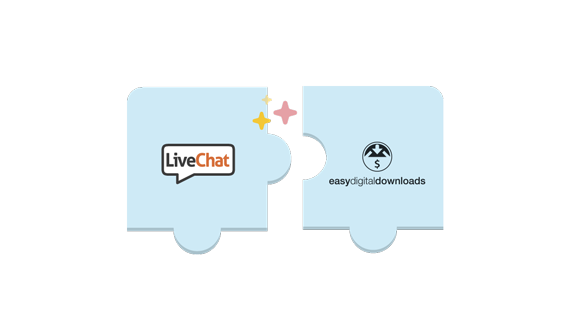 LiveChat for Easy Digital Downloads: What does it offer? LiveChat for EDD gives you all the right tools to create the exceptional help center for your customers – and more! Targeting your customers’ exact needs is no longer a problem. Now you can see the exact value of their cart and what products are they interested in. And all of that straight during a chat! Show me how it works! Click here to check out our official EDD integration guide. And, as always, we love to hear from you so don’t hesitate to leave us a comment in a section below! Build Your Own Help Center! You can now use our Knowledge Base integration to build a public Help Center for your customers! Help Center: what does it offer? decide which articles should be public. Chat Widget Themes for LiveChat Marketplace! The whole new way of customizing your chat window is here! 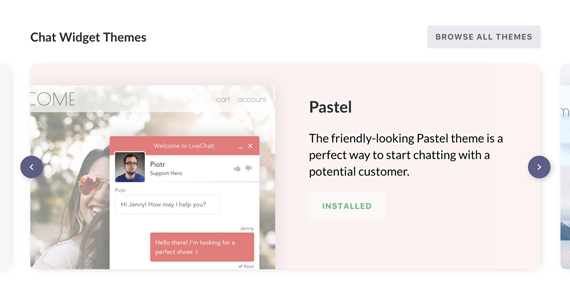 LiveChat introduces Chat Widget Themes: a brand new section of LiveChat Marketplace, where you will find all the right tools to make your chat look better than ever before! 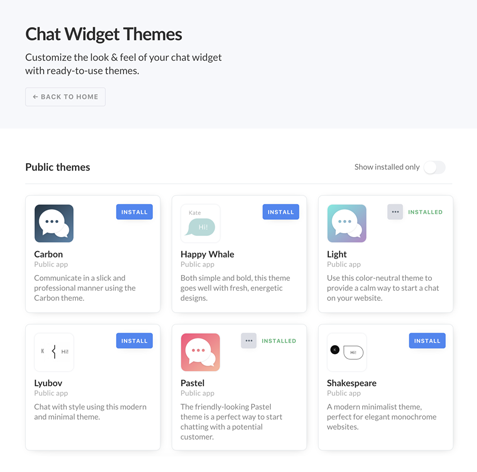 Chat Widget Themes: what it’s all about? You access the Chat Widget Themes section by simply going to LiveChat Marketplace. There you will find our brand new Chat Widget Themes section. See which theme will be the best for you and, with just a click, install it on your LiveChat. What’s more, if you’re feeling a little adventurous, you can create your own theme based on our detailed documentation! Click here to check out our official Chat Window customization guide. And, if you will still have any questions, don’t hesitate to reach out to us via chat! Share Your Customers Screen: New Join.me Integration Is Here! Start a screen sharing session with your customers whenever they require technical assistance or would like to show you how to recreate a tricky issue. LiveChat Join me integration is here! LiveChat Join me integration: how does it work? With Join.me integration, you can invite your customers to a screen sharing session straight during a chat! After sending the invitation, we will ask your customer to accept it. Clicking on Allow button available in his chat window will start a download of the Join.me application. Installing the app will automatically initiate a screen sharing session with your customer. To take control of your customer’s screen, simply click on the link that we generated in your LiveChat app. And the best part is: Join.me for LiveChat is completely free! Neither you nor your customers will be charged with any additional costs for using the integration. See how the magic works! Click here to check out our official Join.me integration guide. Also, don’t forget to leave us a comment down below – we would love to hear from you!